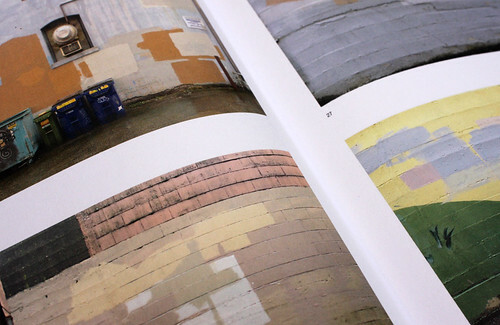 Avalon Kalin’s One Hundred and Four Digitally Printed Color Photographs of Graffiti-Removal. Top: Cover of Circular no. 19. Kalin’s collection of 104 photos taken in Oregon and Washington challenge the reader to see the subconscious art within graffiti removal. 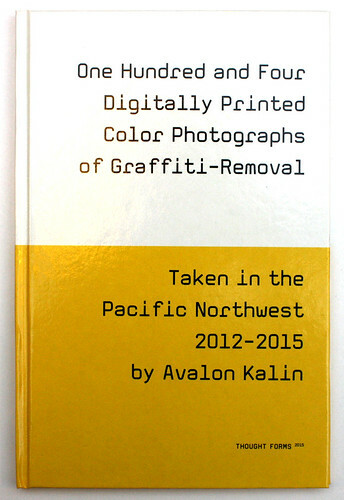 Spread showing Avalon Kalin’s photographs of ‘conservative’ and ‘ghosting’ graffiti removal in Olympia, Washington. Avalon Kalin’s father likens the masked graffiti to the work of abstract expressionist Mark Rothko. Kalin’s original concept was the subject of the film The Subsconcious Art of Graffiti-Removal, (2001), produced by Matt McCormick. 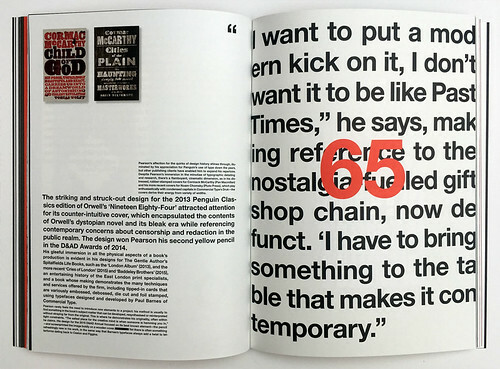 Circular is an occasional magazine by The Typographic Circle. For no. 19, magazine editors were asked to write about a subject that interested them. Spread from Jeremy Leslie’s article in Circular no. 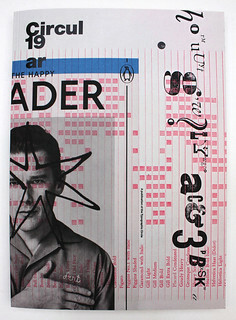 19 showing covers of The Happy Reader (See ‘Noted #67’ on the Eye blog). 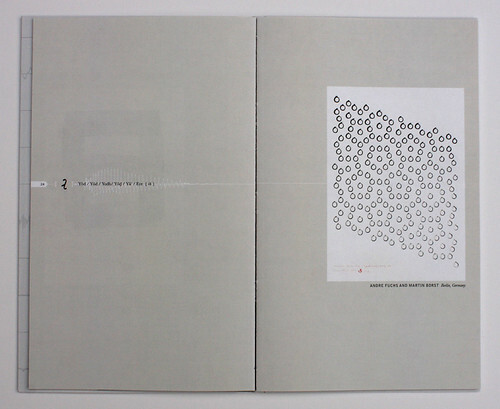 Spread from Eye editor John L. Walters’ article about David Pearson’s work. 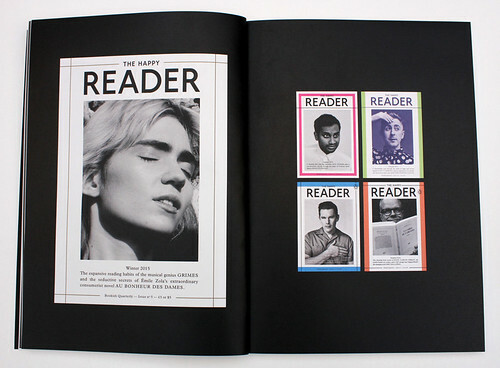 This Circular cover design (one of four) incorporates several images from within the magazine including the cover of The Happy Reader no. 6, a ‘representation of type available’ from Tony Chambers’ ‘The Key to Happiness’ and a detail from Kiki and Bouba. The Photografik Collectivo project visualises the sounds of the 1050 BC Phoenician alphabet. 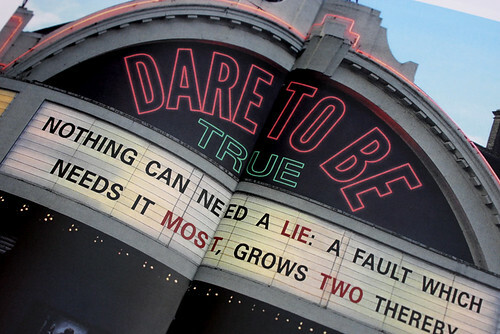 Each letter is designed by a different artist. A visual interpretation of Yodh, the tenth letter in the Phoenician alphabet, by André Fuchs and Martin Borst. 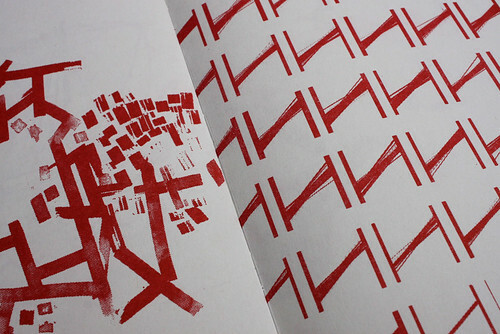 The Photografik Collectivo was printed using an HP Indigo digital press, risograph and letterpress on French construction paper, Colorplan and bright white recycled paper. Each copy is hand bound. 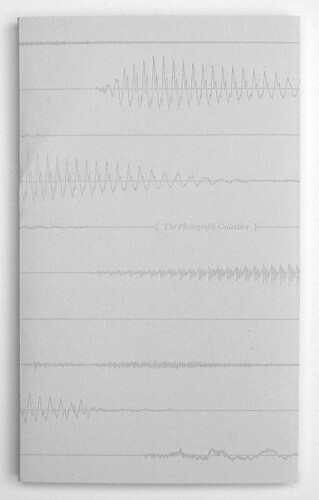 Cover of The Photografik Collectivo designed, produced and published by Ashley John Pigford and Tricia Treacy. 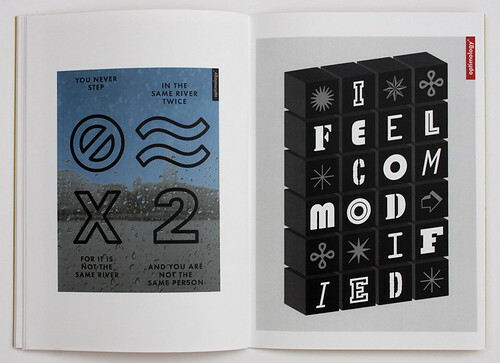 Penny Hartley’s Optimology°, a set of four books, combines text and images from which the reader can infer meaning. Optimology° is defined by Hartley as a ‘an oblique study in words and pictures of the nature of being, existence and reality …’. 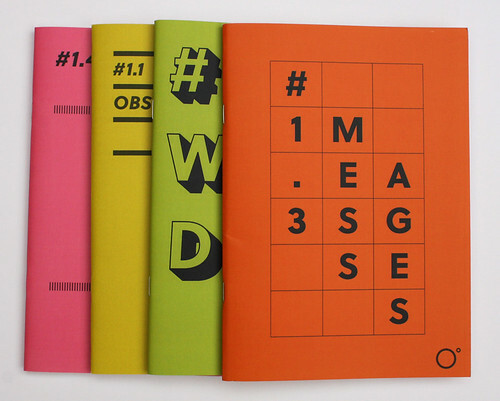 Numbers 1 to 4 are titled: Observations, Words, Messages and Appropriations. 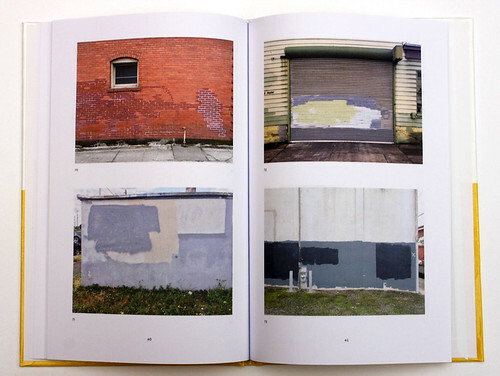 Spread from the first book, Observations, written and designed by Penny Hartley with photography by David Hartley. 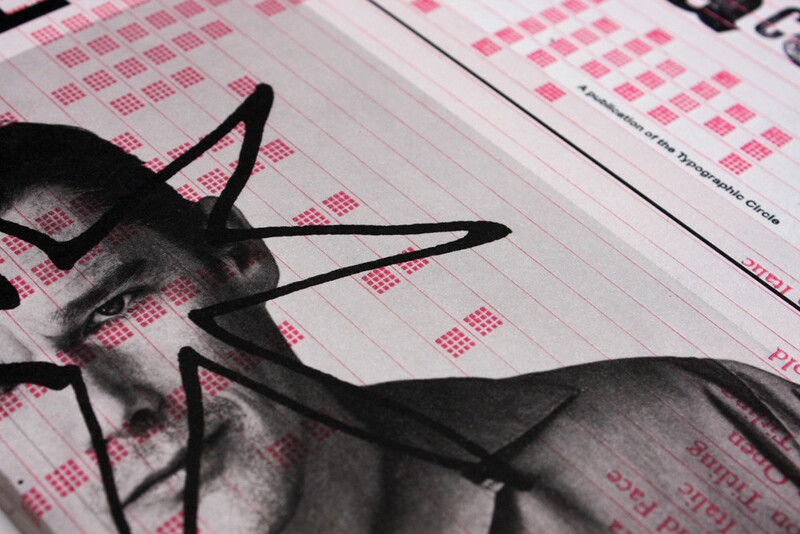 Detail from the third Optimology° book, Messages. 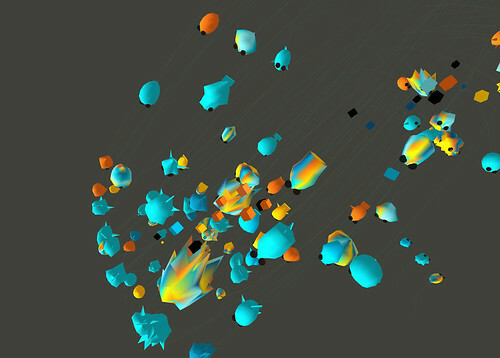 Brendan Dawes’ Fermata – the first installation on the Neo’s digital art space media wall in Manchester – visualises hard data as abstract images. 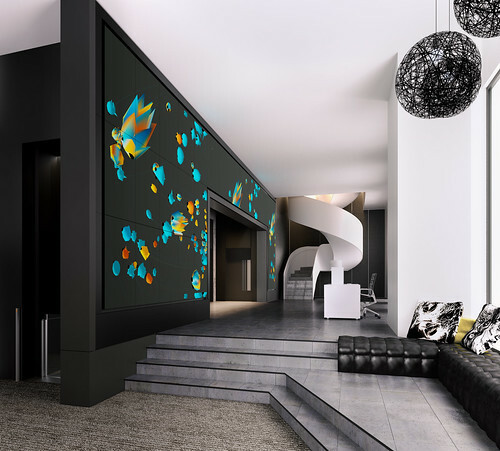 The media wall located at Brentwood’s Neo digital art space comprises 30 55" screens. Courtesy of Brendan Dawes Imagery. A rendering from Brendan Dawes’ Fermata, which expresses data from weather reports, social media feeds and sensors within the Neo building. Courtesy of Brendan Dawes Imagery.